With the busy travel weekend of Labor Day upon us and the beginning of school and new routines starting, KidsAndCars.org welcomes the new support of People for the Ethical Treatment of Animals (PETA) for the Helping Overcome Trauma for Children Alone in Rear Seats Act (HOT CARS Act of 2017, H.R. 2801 / S. 1666 ). PETA joins 38 other leading public health, consumer and safety organizations and 11 animal care groups in urging Congress to pass a bill that would protect children and animals from perishing of heatstroke inside motor vehicles. By passing the HOT CARS Act, Congress could save the lives of children, animals, and other vulnerable members of society each year. The bipartisan HOT CARS Act requires the U.S. Department of Transportation to issue a final rule requiring new cars to be equipped with a system to alert drivers who might unknowingly leave children or pets in the car. This type of technology is already available today. “PETA is as passionate about protecting animals as we are about protecting children. By joining forces, we can make sure 2018 is the year Congress puts a stop to these needless deaths,” said Janette Fennell, president and founder of KidsAndCars.org. PETA will mobilize its network of millions of animal rights supporters through an action alert (going live at Noon today) asking activists to urge Congress to pass the HOT CARS Act, so that not another year of deaths goes by without this simple, life-saving solution. “This summer alone, at least 36 children and 44 dogs have died in hot car infernos, and the deadly trend is showing no signs of abating," says PETA President Ingrid Newkirk. "PETA is helping KidsAndCars.org champion this important bill in the hope that it will result in concrete measures being taken to counteract these tragic, painful, and wholly preventable deaths,” said Ingrid Newkirk, president and cofounder of PETA. Every year, children, people with disabilities, and animals perish from heatstroke inside motor vehicles. Much like children, whose body temperature rises 3-5 times faster than adults, dogs lack the ability to effectively regulate their body temperatures, making them extremely vulnerable to heatstroke. This is especially the case in cars, where the greenhouse effect can cause the interior temperature to quickly rise to deadly levels within minutes. It becomes a recipe for disaster when a child or animal is trapped inside a hot vehicle. The bill is sponsored by Sens. Richard Blumenthal (D-CT) and Roger Wicker (R-MS) in the Senate and Reps. Tim Ryan (D-OH), Peter King (R-NY) and Jan Schakowsky (D-IL) in the House. Over 870 children have died in hot cars in the U.S. since 1990 according to KidsAndCars.org. To learn more about dangers to children and pets in cars, visit https://www.kidsandcars.org/how-kids-get-hurt/heat-stroke/. 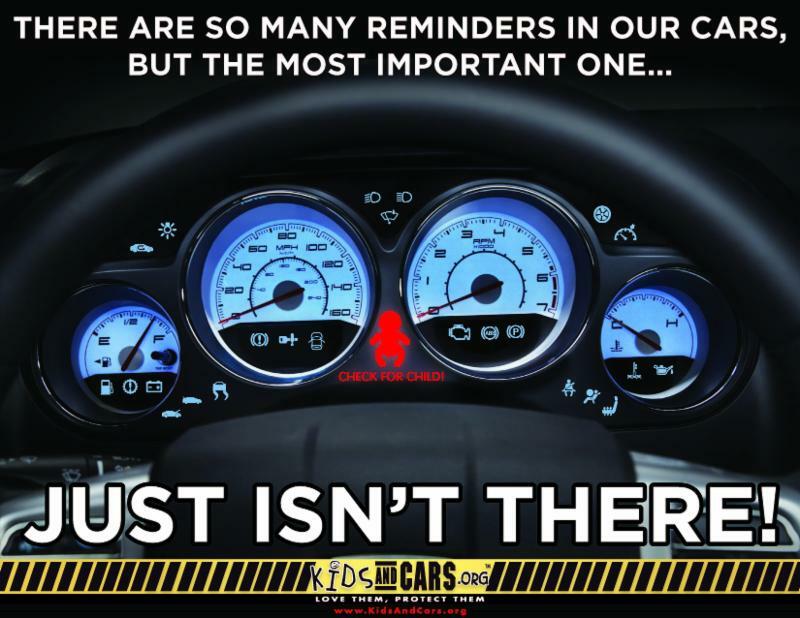 Founded in 1996, KidsAndCars.org is the only national nonprofit child safety organization dedicated solely to preventing injuries and deaths of children in and around vehicles. KidsAndCars.org promotes awareness among parents, caregivers and the general public about the dangers to children, including backover and frontover incidents, underage driving and vehicular heatstroke. The organization works to prevent tragedies through data collection, education and public awareness, policy change and survivor advocacy.